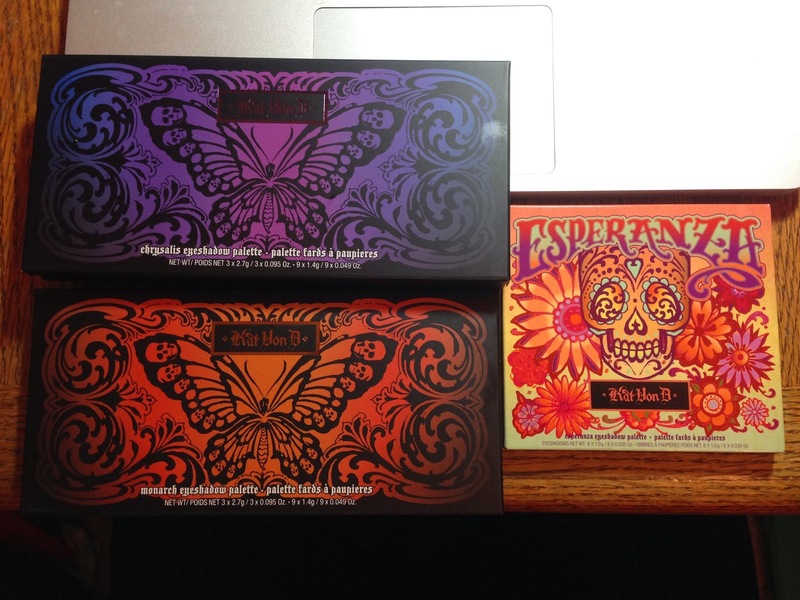 Sephora recently had their big springtime Beauty Insider/VIB/VIB Rouge sale, so I thought I'd take the opportunity to pick up KVD's new summer mega-palettes, Monarch and Chrysalis, and her spring palette, Esperanza. First, the Esperanza palette: It's funny to me that it was a springtime release, considering how the colors are so summery to me. 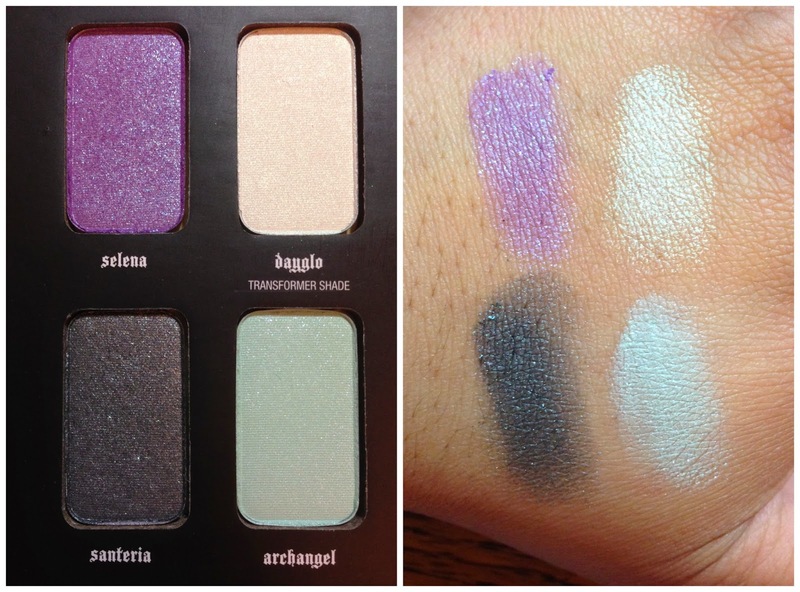 It's absolutely beautiful though - with two mattes, two shimmers, three sparklies, and one iridescent/duochrome transformer shade. All pigmented and butter soft. 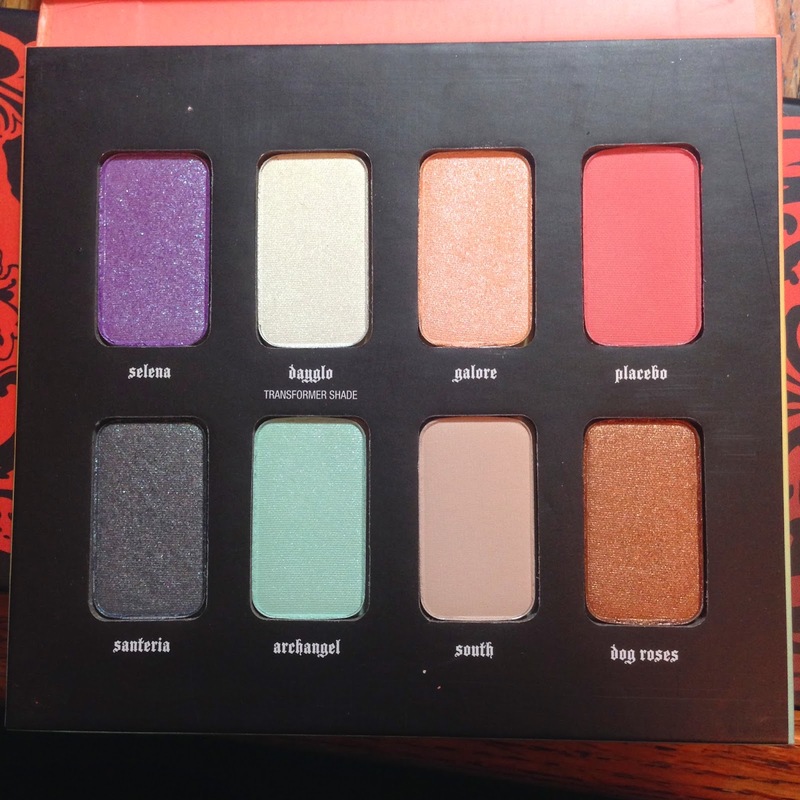 I'm pretty much in love with the entire palette, and can't wait to mess around with Dayglo. 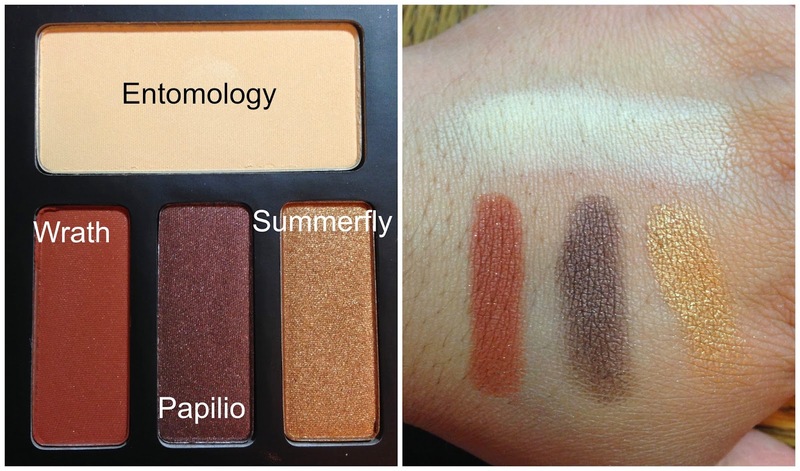 The Monarch palette is a total winner, if you like warmer palettes. 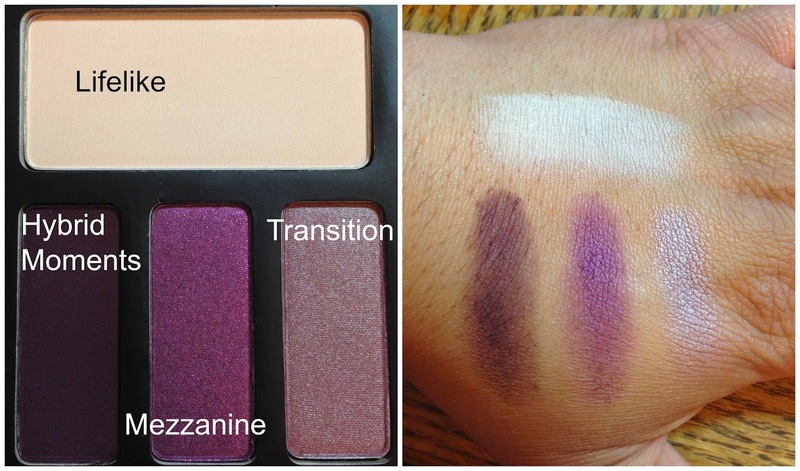 Like its counterpart, the Chrysalis palette, it has three light-to-medium base shades and nine additional eye shadows, and it seems to be sectioned off into thirds: the left third is colorful; the center third is more mid-range neutral; and the right third is great for a smokey eye. (Of course, you can use them in any combination you want, but it struck me that the colors were set up this way for a reason.) 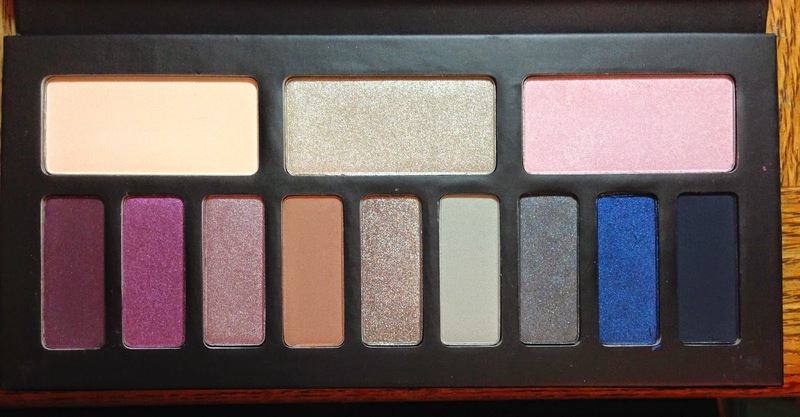 Obviously it is HUGE compared to her True Romance palettes, which have eight eyeshadows. However, these don't come with an eyeliner, but I'm okay with that. 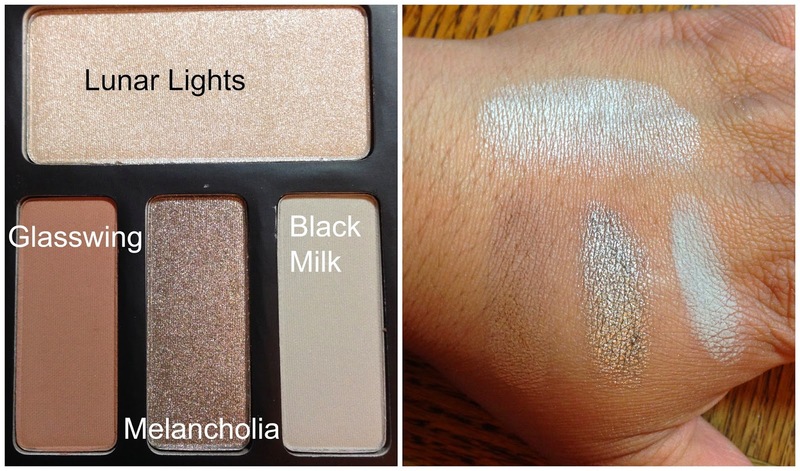 This one was also super soft and very pigmented, and it's a healthy mix of finishes. Chrysalis is the cooler-toned palette of the two. I didn't think it stacked up quite so well, as I found Hybrid Moments and Mezzanine (the two purple shades on the left) to be a bit dry/patchy. Mezzanine, which has some glitter to it, felt a little gritty. 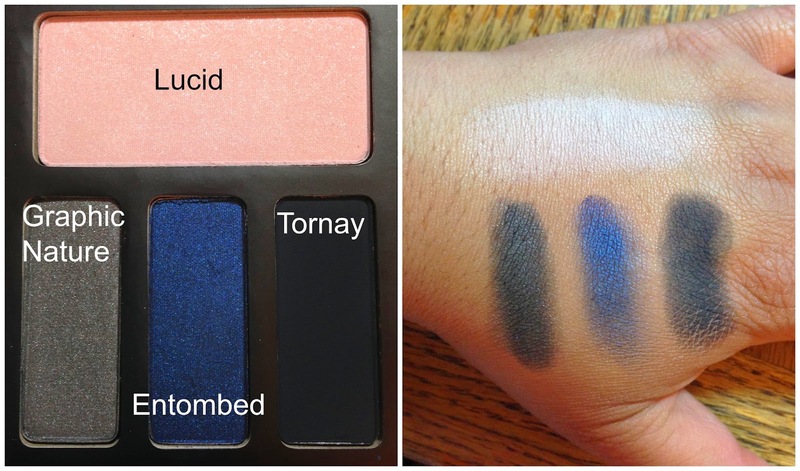 Lucid, the pink shade on the right, also felt a little on the dry side. 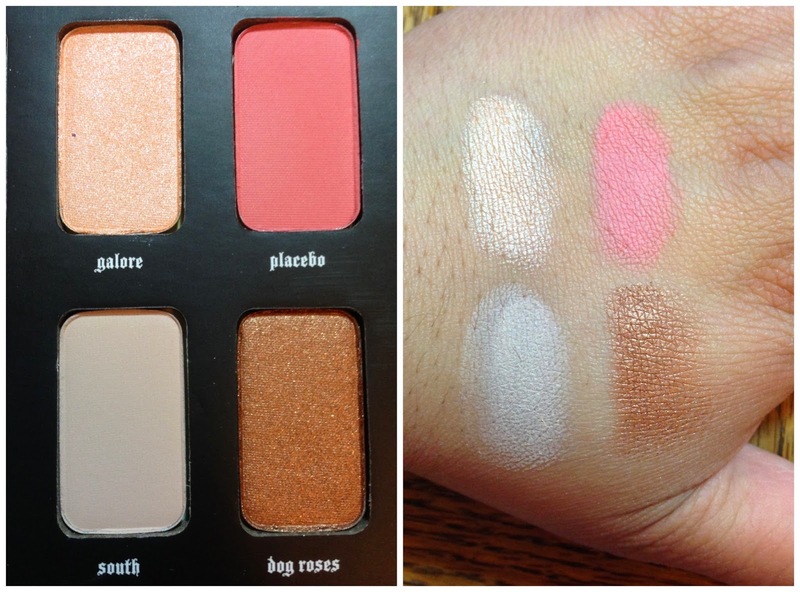 They weren't bad, but compared to all of the other shades in the palette (as well as the palettes above, and any of her other palettes lately), I was a smidge disappointed. Especially since I love purples and pinks. FYI, the two black shades are different when you look at them side-by-side. 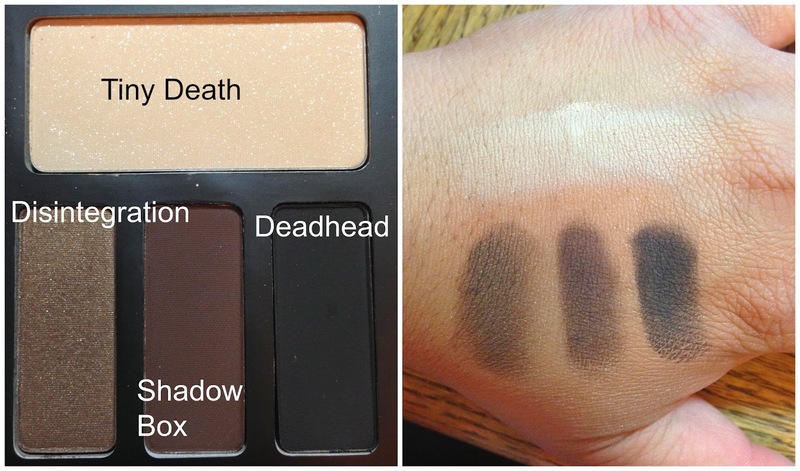 Tornay is definitely a cooler, blue-toned black whereas Deadhead (in the Monarch palette) is more of a brown-black. Glasswing is actually quite pigmented, but it's hard to tell in the photo because it's so close to my skin color. 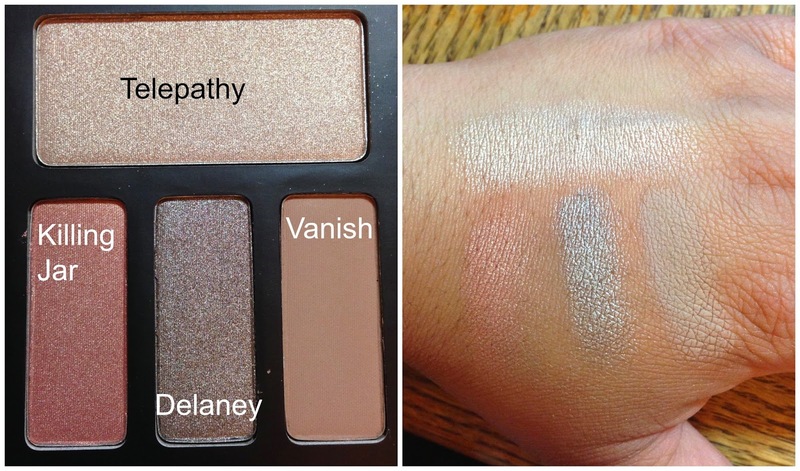 Overall, I think KVD has really, really stepped it up with her palettes over the years, and I'm always excited to see what she comes up with next. I'm super happy I picked these up (and even happier that I had the 15% discount to use on them).